When it comes to installing bi-folding doors into your home, the process will be marginally more complex than the installation of a standard door. Therefore, it is crucial to spend some careful consideration regarding the size, design and materials. Here is a thorough guide on how to choose bifold doors so find the most suitable style for your home and lifestyle. Achieving the perfect entrance into your exterior space through large glass bifold doors could easily transform your home. Also known as folding-sliding doors, bi-fold doors consist of a series of panels that slide open and then concertina together. These doors can open both inwards and outwards, depending on your preference, although most people opt for outwards opening doors to maximise floor space inside. Choosing the right bifold doors for your home is essential; taking into deliberation both style and practicality. Keep reading to find out more. How Much Will Bifold Doors Cost me? The price of your bifold doors will largely depend on a combination of the materials used, the dimensions of the doors, the manufacturer and your fitter. For a reliable supplier and installer of bespoke bifold doors in Aylesbury, get in touch with Crown Windows today. The material and dimensions of the frame will have a considerable influence on the overall cost of the doors. Opting for uPVC doors over aluminium frames will be the significantly cheaper alternative. The size of the door panels will also largely contribute to the cost; the smaller the door panel, the less it will cost you. You may also want to consider the addition of integral blinds if you live in a built-up area. These blinds will offer maximum privacy when you require it and have the option to be operated manually or remotely. Do I Need Planning Permission To Install These Doors? When it comes to adding in or changing existing doors to a property, it is usually classed as permitted development and therefore, permission is not needed. However, if you own a flat, then you will not have allowed development rights, so planning permission will be mandatory. Furthermore, if your property is a listed building, then you will need consent. However, if you do require permission, you will usually be approved if the alterations you are making does not directly affect the principal elevations of the house. As the homeowner, you will be responsible, so it is always worth checking with your local authority as to where you require permission or not. Choosing the materials, you wish your doors to be made from takes some careful reflection. To effectively make the right decision you need to consider the style and age of your property, along with the maintenance involved in each material. If you own a period or more traditional property, then the option of a hardwood timber frame will be most suitable. Nevertheless, this material demands the most maintenance and needs to be regularly painted or stained to keep up the quality. For a less demanding alternative, a composite frame gives the external appearance of timber without any upkeep issues. This alternative is made from various materials glued together under high pressure; this includes glass reinforced plastic and insulating foam. However, this door frame option is considerably more expensive than any other. uPVC is, without a doubt, the easiest material to maintain and the least expensive option. The only downside to uPVC is the limited finishes available. Often these door frames are only available in white or foil options. uPVC frames are also significantly thicker than other materials and will limit the amount of glass you can have. If you’re looking for narrow door frames, then aluminium will be the most suitable material to use. Due to its significant strength, you can afford to opt for thin frames. Aluminium frames are also easy to care for and provide a more contemporary look. Once you have decided what you wish your doors to be built from, you need to consider whether to invest in double or triple glazing glass. When you’re researching into the type of glass that will be most suitable for your home and lifestyle, make sure to pay attention to the U-value. This value measures the effectiveness of the heat insulation properties; the lower the value, the more efficient the glazing is. You should be aware though that often the higher price of triple glazing is not reflected in a lower u-value, and therefore, makes double glazing in Milton Keynes a more attractive option. For further advice on the benefits and drawbacks of double and triple glazing, take a read of this article. Bi-fold doors are available in a variety of styles designed to fit all budgets. 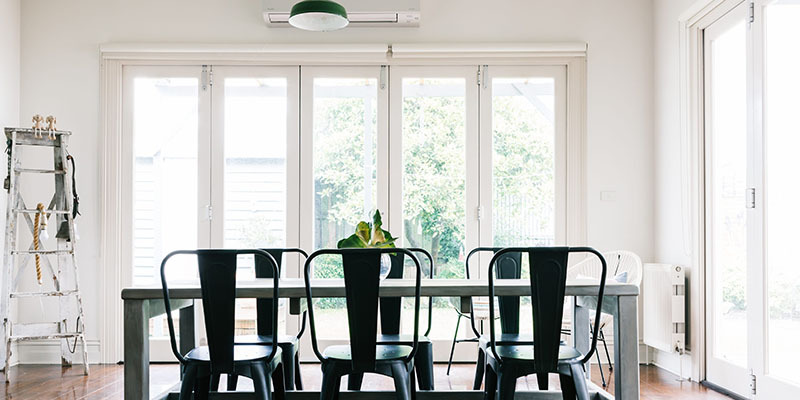 Opting for thicker frames is likely to impede the amount of light let into your home. Thinner frames are often noticeably more attractive and convenient. You will also have the option to decide how many panels to include. We suggest opting for an odd number of panels, this way the doors will fold in the same direction and provide you with a lead door. This lead door can then also be used as a standard entrance to your outside area with a multi-point locking system. This leads us on to the other security features you should consider installing. Which Security Features Should I Opt For? It is vital for the security of yourself, home and family that your bifold doors contain a good quality locking system. This system should meet the ‘Secured by Design’ standards. Depending on the manufacturer you choose to go with, ensure their doors incorporate insurance-recognised locks. This should be at least a five-lever mortice door lock. Make sure to also look into the quality of the door hinges supplied; externally glazed designs make it possible for the beads and double glazing to be removed, allowing intruders to access your property. If your budget allows for it, it is worth looking into the addition of an internally glazed system. Installing bifold doors are guaranteed to transform your home and create the perfect entrance to your garden or patio. Nevertheless, it is worth taking some time to carefully consider all of the factors above.  Get in touch with Crown Windows today for a reliable supplier and installer of top quality bifold doors in Milton Keynes.